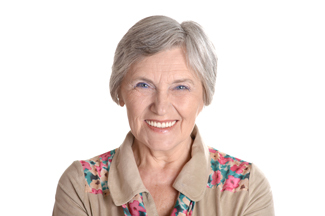 For patients of Greenside Dental Care, near Mirfield, dental implants can provide a permanent improvement to the way the mouth functions as well as how it looks after tooth loss. We know that with just a few visits to our practice, implant dentistry can provide you with a boost to your oral health that can last for the rest of your life. Removable dentures are a relatively straightforward tooth replacement method that many people are familiar with. But getting dental implants near Mirfield will bring health benefits that dentures can’t match. They integrate with the jawbone to prevent jawbone deterioration. They eliminate gaps in the teeth, so plaque and food debris have fewer places to hide. Plus, they are easier to clean and their natural feel can even make it easier to pronounce certain words and phrases. Before the implant procedure, our dentist will make a detailed assessment of your oral health, using modern imaging techniques to create a treatment plan tailored to your requirements. When your jaws and gums are ready, the dentist will insert small, screw-like titanium posts, into the gaps that the missing teeth left behind in the jawbone. After a period of healing, you will return to the dentist to have replacement teeth securely fixed to the tops of the posts. The fully integrated method of dental implant treatment is what brings one of the important advantages of having dental implants near Mirfield. The bone in the jaw receives tiny vibrations from the mouth, which are transmitted through the titanium posts from the teeth, as you eat or talk. These vibrations stimulate the bone to mesh with the implant, forming a stable base for the replacement teeth and maintaining the natural bone density that is lost during long-term use of removable dentures. As well as reducing the risk of further damage and bone weakness, this feature means that the underlying firmness of your facial shape is maintained. The infamous ‘sunken’ look that can characterise the denture wearer is avoided. If properly maintained, with good daily dental hygiene and regular, routine dental check-ups, your dental implants will bring you a lifetime of improved oral health and everyday dental confidence. This entry was posted in Dental Implants on 17th August, 2017 by GreenSide Dental Care.